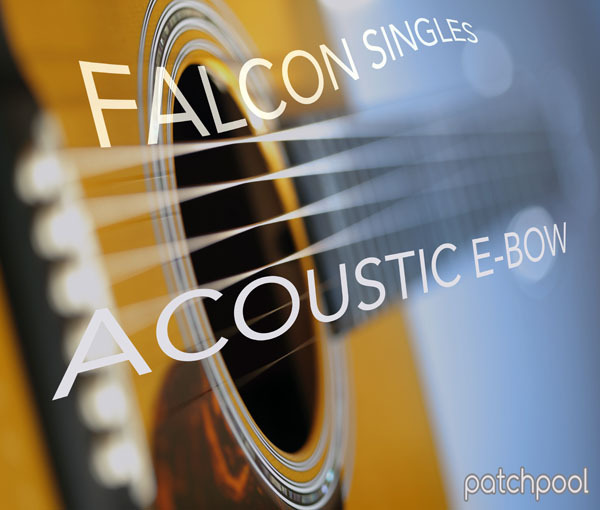 Falcon Singles - Acoustic E-Bow by patchpool is Soundware (e.g. samples or presets that load into other products). Multi-sampled acoustic steel string guitar played with an e-bow, a much expanded and falconized version of the acoustic guitar sounds in Sonic Cinema for HALion 5. 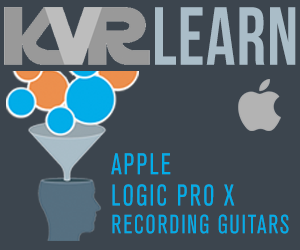 New samples were added, wavetables extracted and patched, electronic derivates and soundscapes were produced and some processed e-bowed mandolin sounds were created to compose a unique collection of sounds. Many patches use the multi-granular engine, then there are patches using multi-samples over the entire instrument range, several animated wavetable pads/drones and sounds using the samples to excite the pluck oscillator are also included. Expressively playable instruments create sizzling timbres with rich harmonics that sometimes remind of indian instruments like the sitar and santoor, some patches sound big and cinematic, others produce mellow and embracing tones. Up to 20+ Macros and switches plus the modulation wheel are assigned in each patch, many presets also use aftertouch, providing detailed control over volume envelopes, filtering, amplitude- and pitch modulations, EQ-ing, dynamics, stereo animation, granular parameters and more. All patches use some sort of background image in the UI, split patches have colored key-zones in the Falcon keyboard for easier navigation. 463 MB of samples, 45 wavs - up to 2+ min long (stereo/48 kHz/24-bit), 4 wavetables, 2 background images for the UI. All acoustic instrument-samples in this library were recorded with 3 Neumann microphones in L-C-R, a U87 as the center mic and a stereo set of KM 184 for L-R.
Library size in total: 470.6 MB. Price: € 18.50 (30% off for license holders of Sonic Cinema). The demos below were produced using only patches from Falcon Singles - Acoustic E-Bow, no post-processing was applied apart from a limiter on the master output. Video 1 - Neo Trio. Video 2 - A-String Duet.